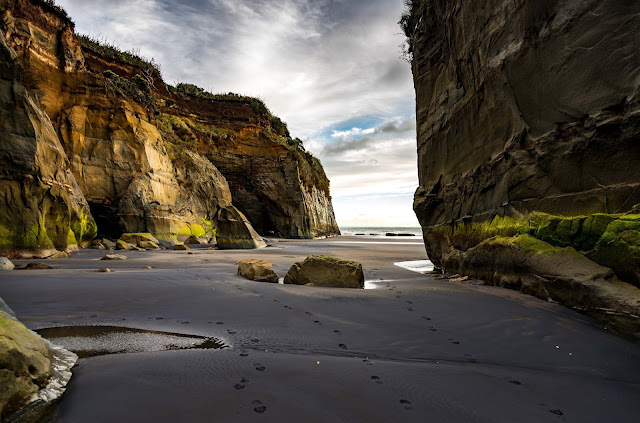 Tongaporutu River mouth - interesting in that the sedimentary cliff material is young enough not to be tilted at an angle as is much of our landscape. Really interesting and only accessible at dead low tide. Detailed notes on New Zealand geology can be found here (Qmaps), the relevant downloadable map is "Waikato".